Eagle Transit makes hourly stops at the Gateway Community Center and specializes in providing special low-fare mass transportation for persons with disabilities and/or elderly. In addition, rides on our City Bus are $1.00 each way for the general public that need to get around the Flathead Valley. When you need a ride, "We Have Your Wheels". Click here for more information on Eagle Transit. 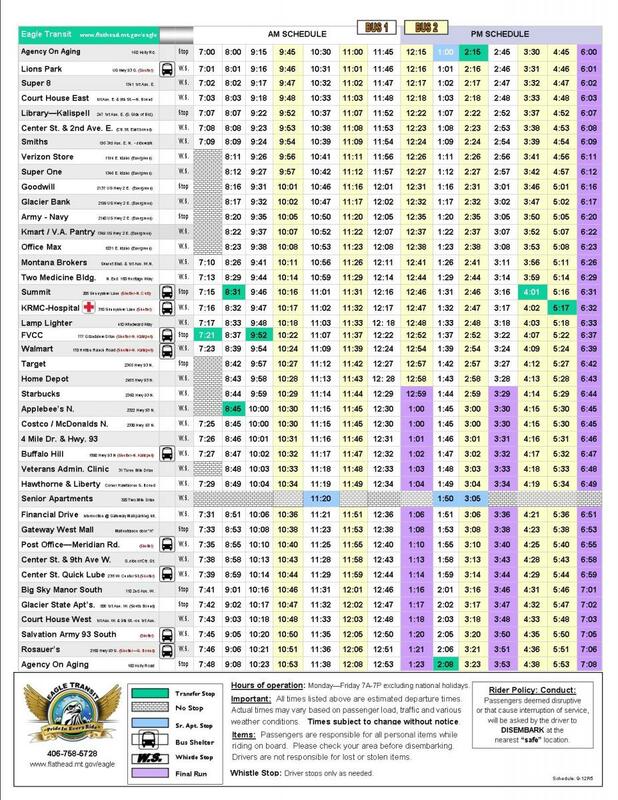 Please find below the Kalispell bus schedule. Gateway Community Center is listed as Gateway West Mall, click the image for a printable version.